Continuing with what I made for my dessert table. I saw these on Instagram or pintrest and knew I had to make them. 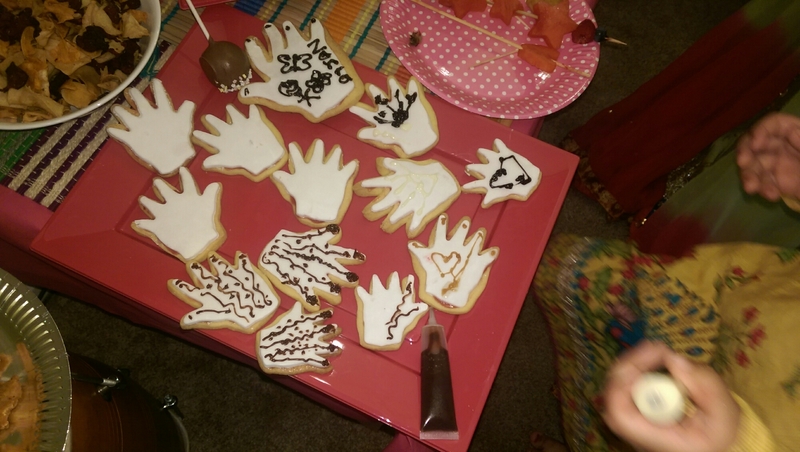 They were a massive hit with the kids and adults alike. 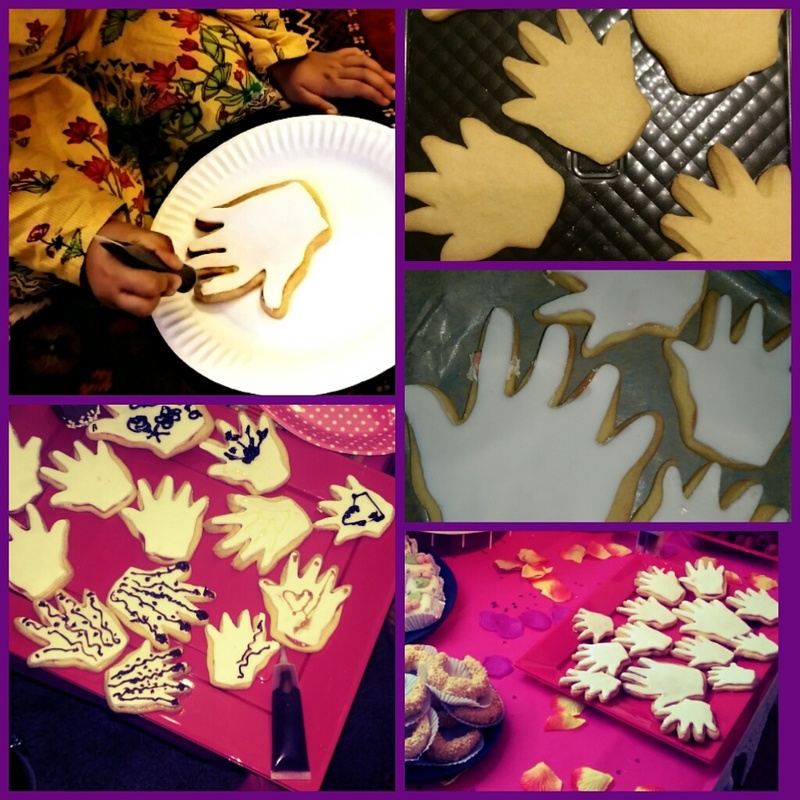 The idea is you leave the hands out with some icing pens and your guests decorate their hands with their own mendhi designs. Even though this was one of the most simple things I made, it was definitely my favourite. 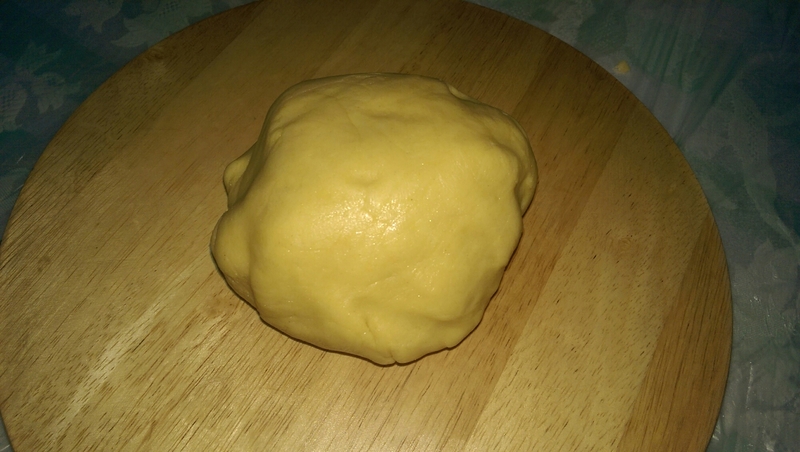 Then baked in the oven at 160deg until just golden brown on the edges (aprox 15mins). 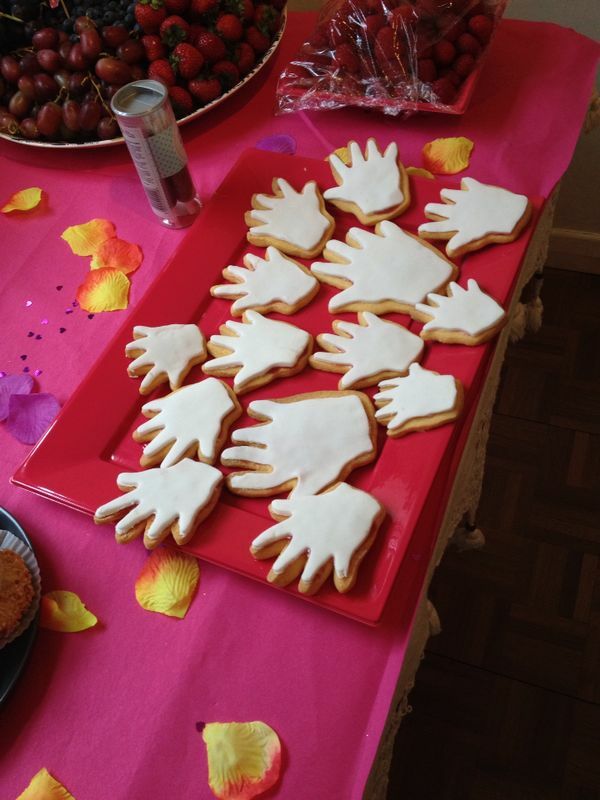 While the hands were baking/cooling, using white fondant icing I made some hand toppers. 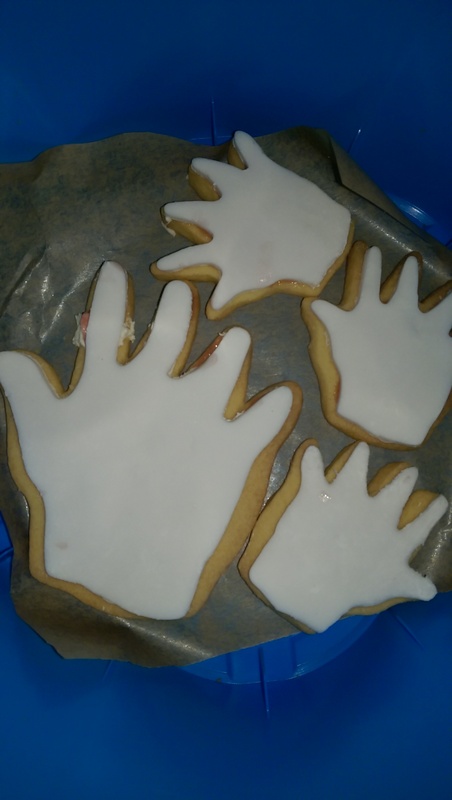 Once the hands were cooled, using raspberry jam brushed on to the hand biscuits, I stuck the fondant hand onto the biscuits. 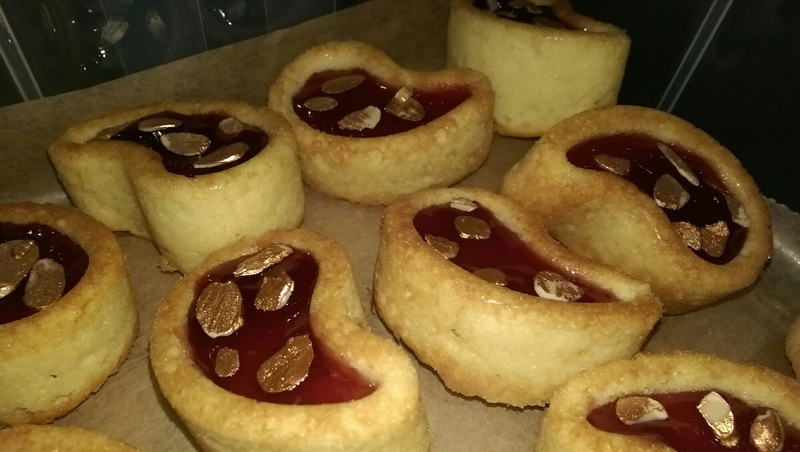 Mmm.. custard biscuits with a tangy raspberry jam and sweet fondant topping! On the day these were left out on a tray with a few tubes of chocolate writing icing tubes. They were meant as an activity for kids but were enjoyed by everyone. 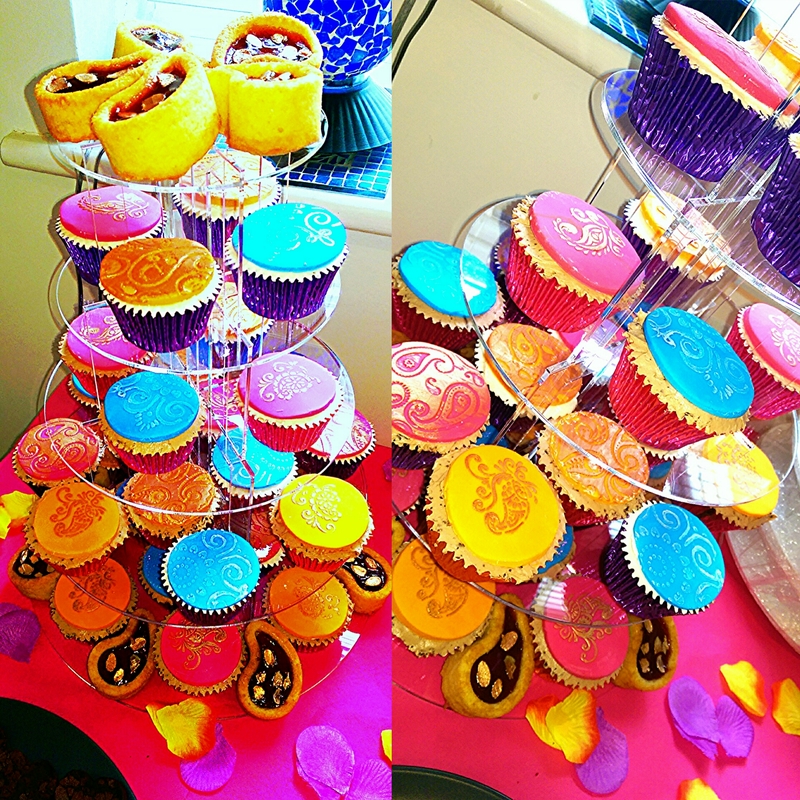 Not only did they look fab, they tasted awesome (and the leftovers were most appreciated at breakfast the next day). 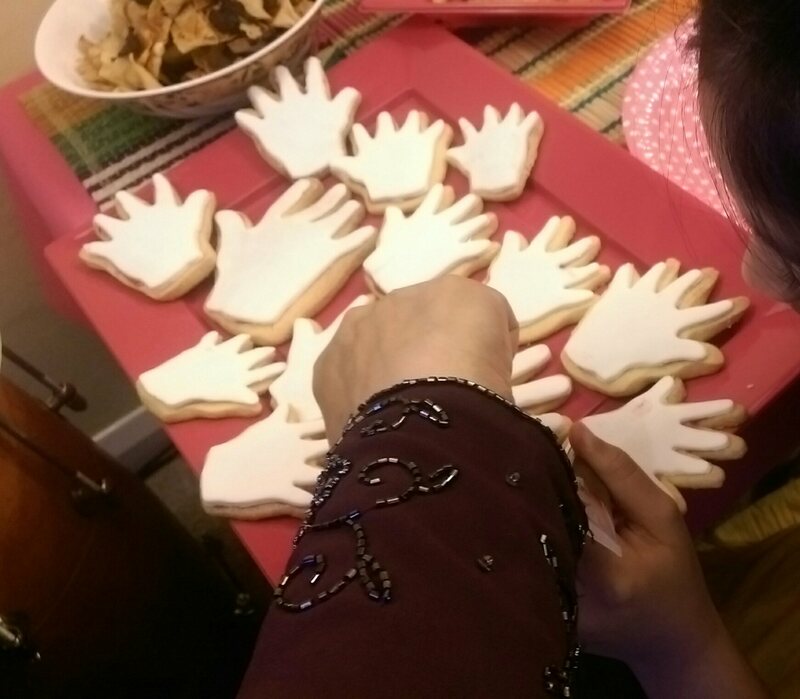 They are a fun addition to any mendhi/henna party. 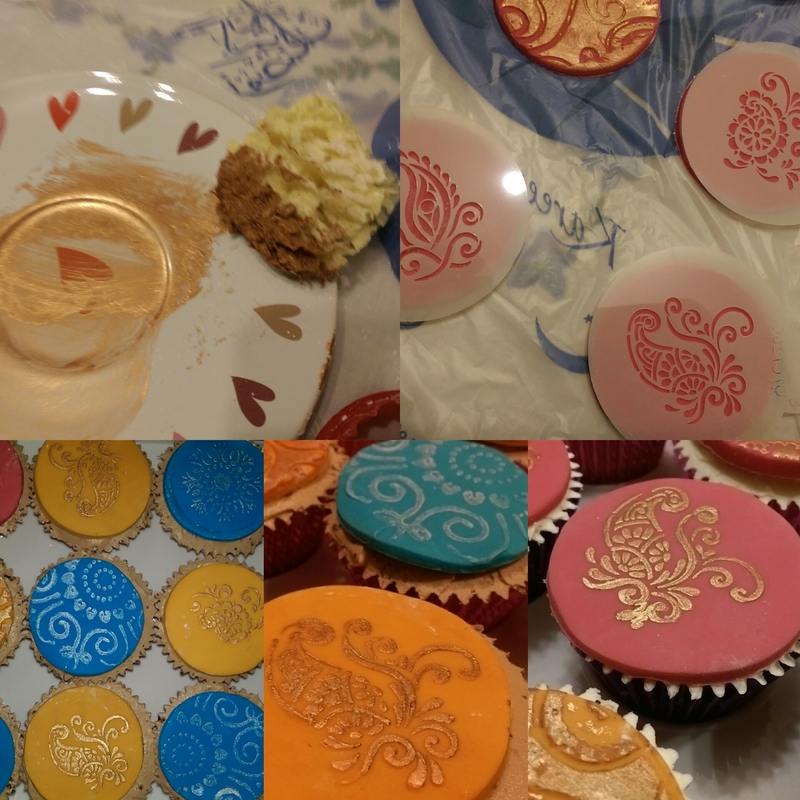 This entry was posted in biscuits, Cookies and tagged biscuits, cookies, fondant, henna, hennaparty, mehndi, mehndiparty, mendhi, mendhiparty on January 2, 2015 by maryambakes. 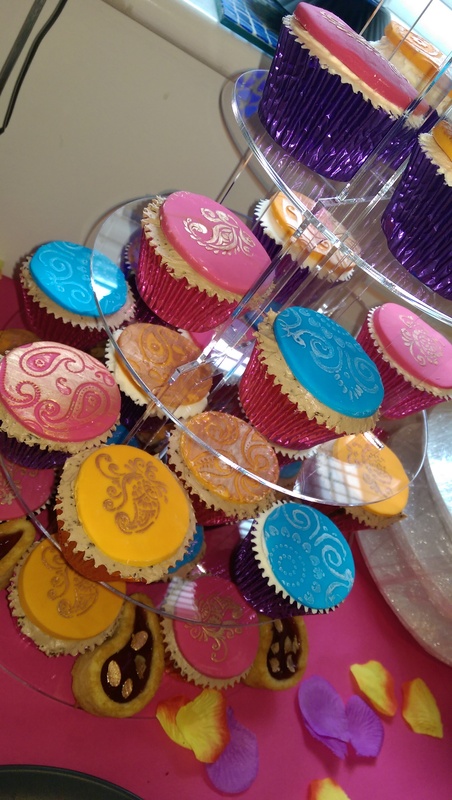 No Indian wedding would be complete without lots of love, laughter, colour and lots and lots of FOOD. 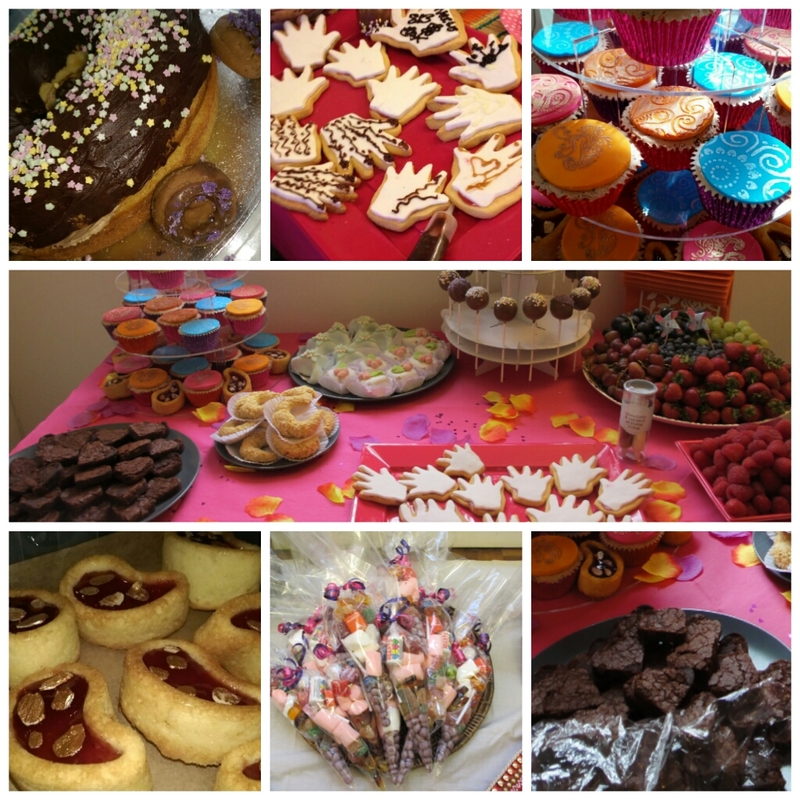 My next few post will be about the treats I made for my brothers wedding over the Summer. 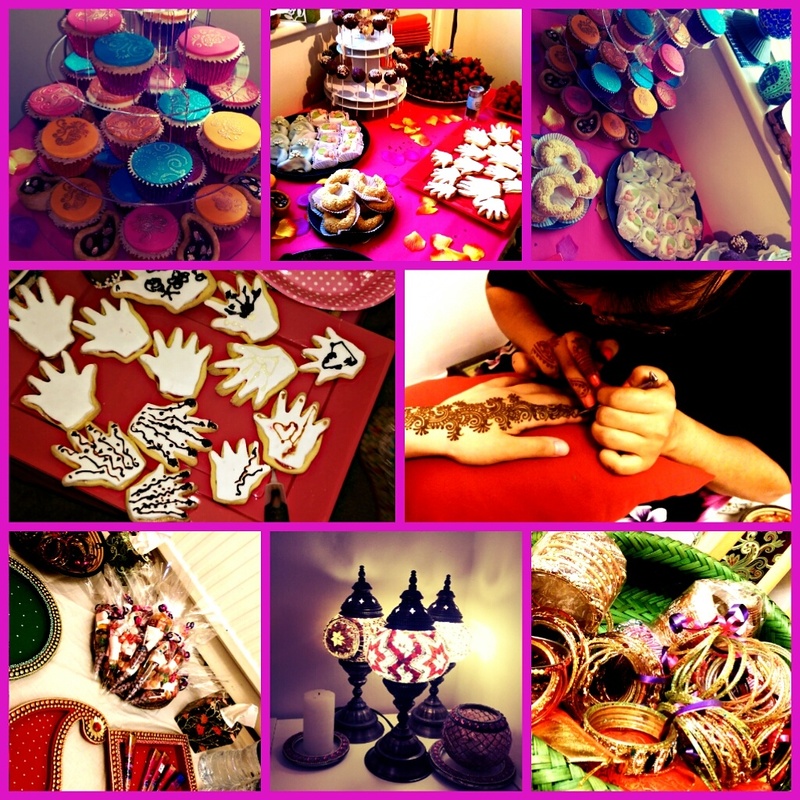 Most of these were made for the dessert table for the ladies mendhi (henna) party. 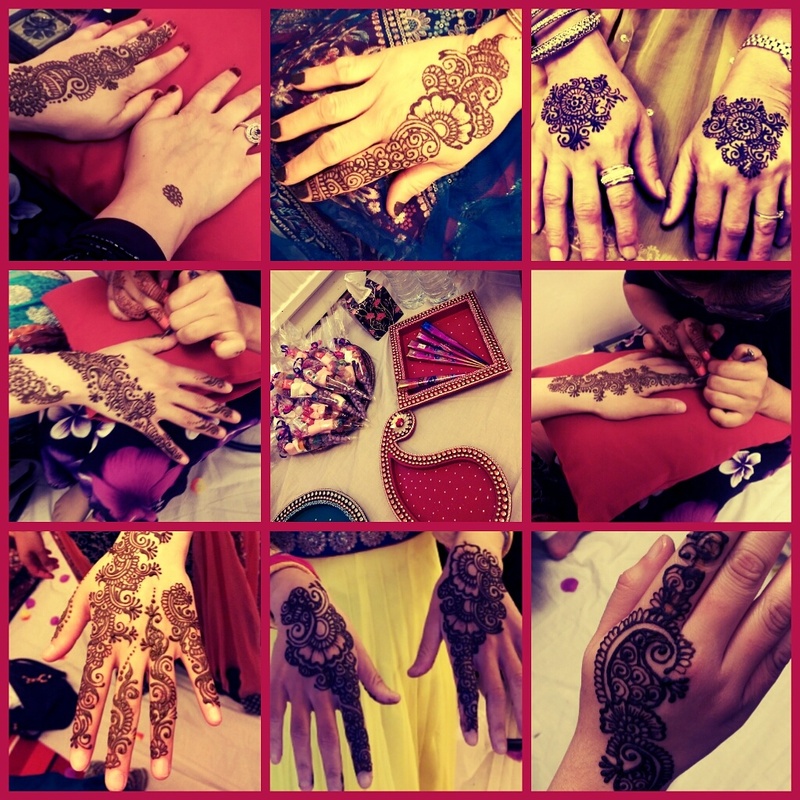 The gorgeous mendhi was applied by Sheena and Raya, who both did the most beautiful designs and really paid attention to what each person wanted. Out of all my baking projects over the last few years this was my favourite and the one I’m most proud of. 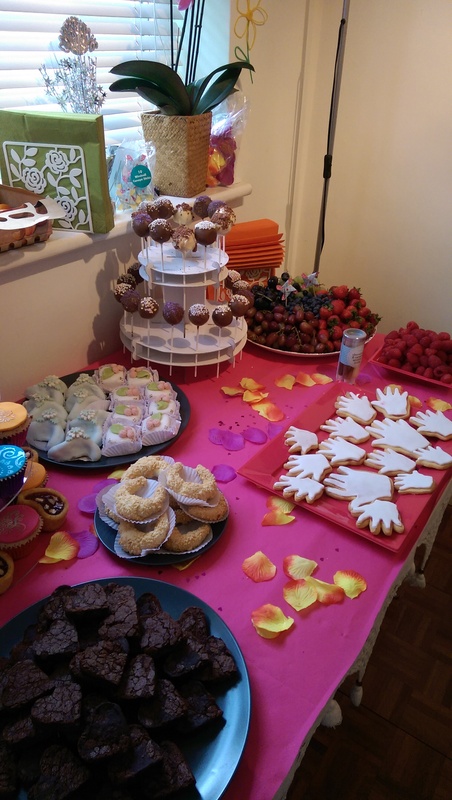 I was so happy with how it looked when put together and all the different desserts/sweets looked and tasted amazing. The ‘paisley’ is so common in mendhi patterns. I knew these cakes would go perfectly on my table. 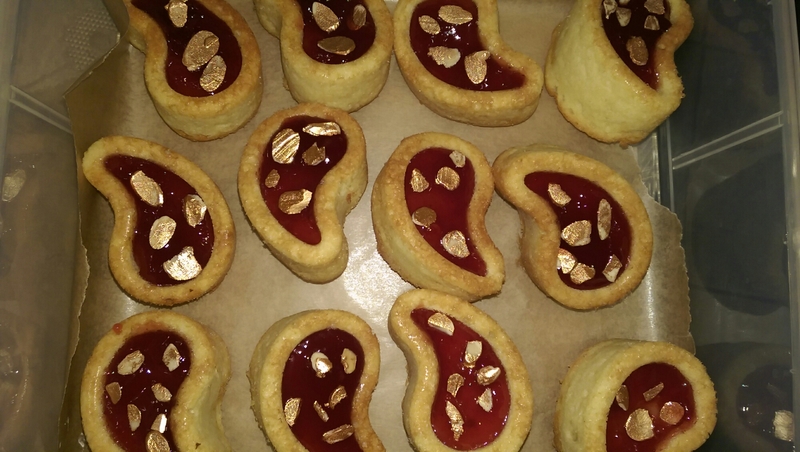 To make them extra special I painted the flaked almonds gold using food paint before sprinkling on top. 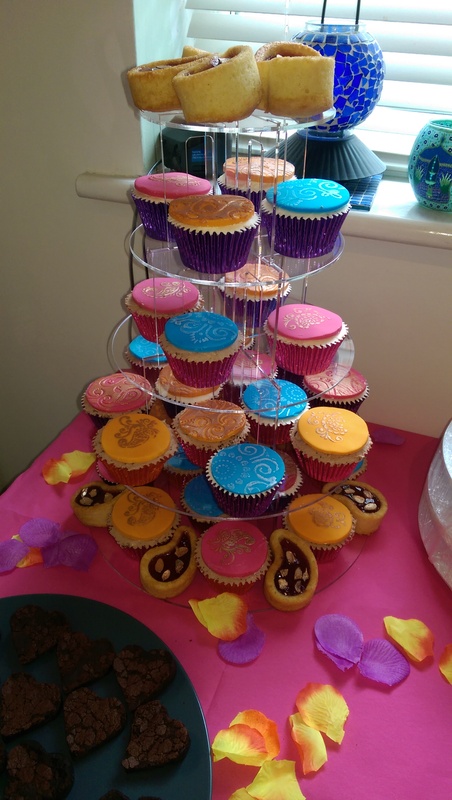 They looked so beautiful on my cupcake display. 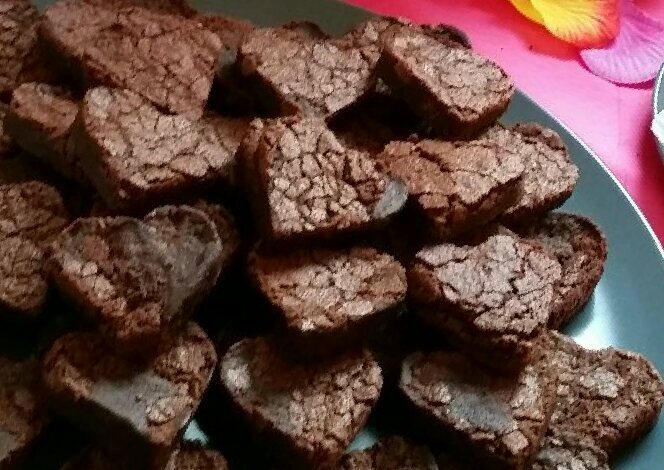 I made my normal brownies, plain chocolate flavour in shallow baking sheets (I usually make them in a square cake 20cm tin). 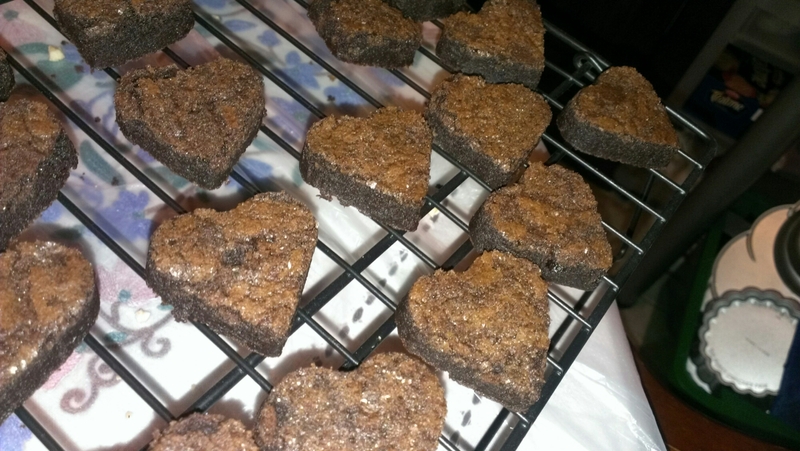 I left the brownies to cool, then using heart cutters cut them out. 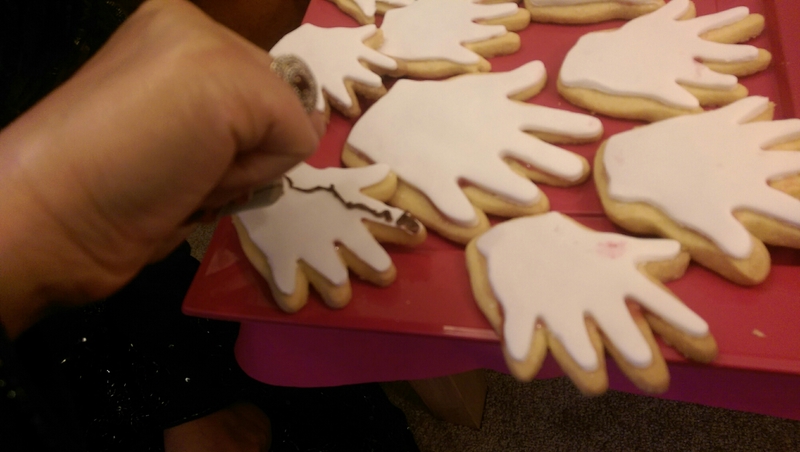 I did want to dip them in melted chocolate and sprinkle edible heart confetti … but ran out of time. They still looked cute and were the perfect little chocolatey, fudgey morsels. 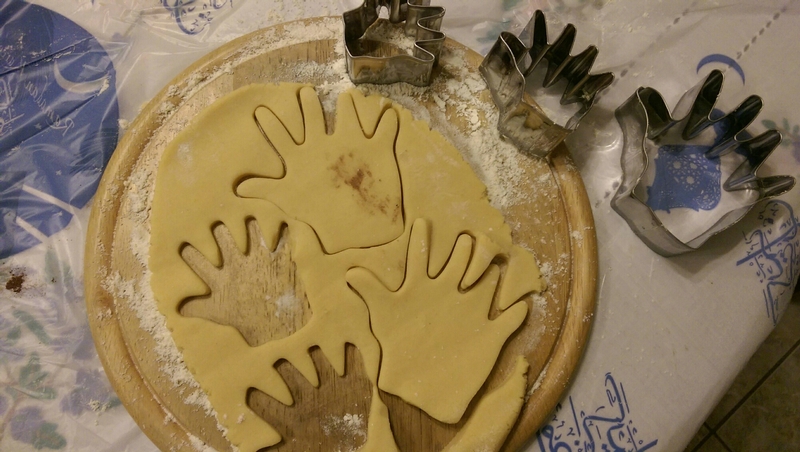 Ok, no baking involved. But thought I’d include these. I make these as a thank you gift for our guests. 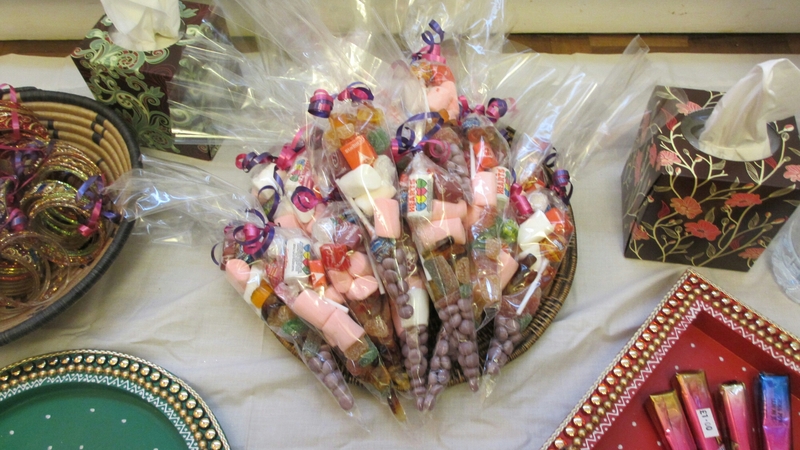 I got the cones and curling ribbon from eBay and filled them with marshmellows, jelly sweets, love hearts and lolly pops. 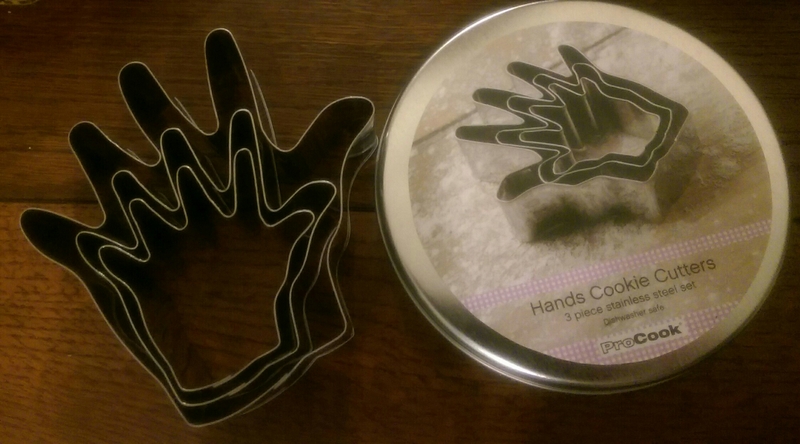 They were really easy to make and made a great gift for kids and adults alike. 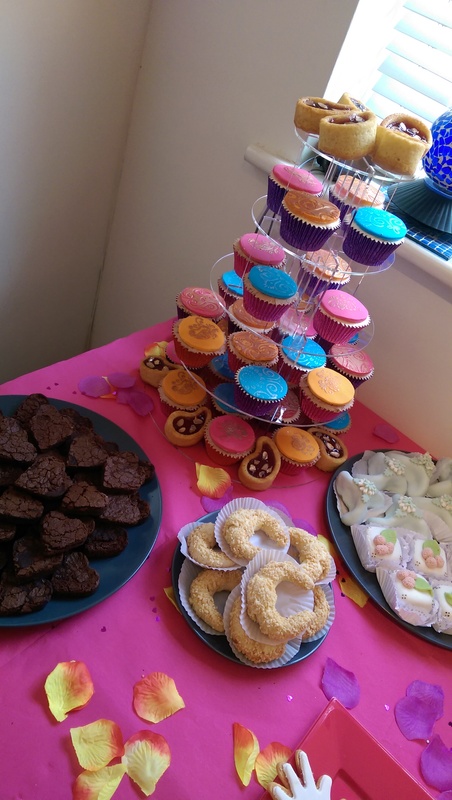 The cake pops and individual banofee pies were made by my sister, I made the fruit skewers, and the small crescent and iced cakes were a gift from a friend. 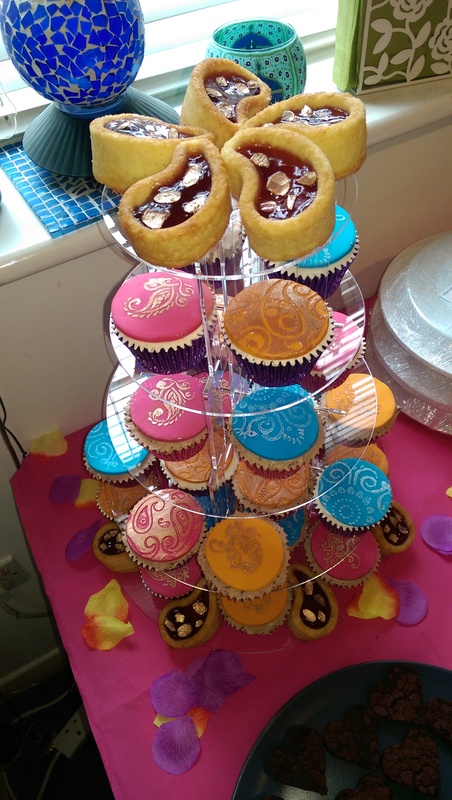 This entry was posted in brownies, cake, cupcakes, dessert and tagged brownies, cake, henna, indianwedding, mehndi, mendhi, party, wedding on December 31, 2014 by maryambakes.